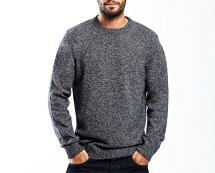 This men’s crew neck knit jumper is the perfect staple for any man’s wardrobe, the style is classic and timeless and the design is very on trend making this a superb choice for any age. 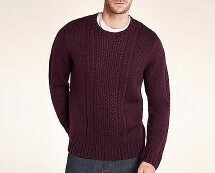 Stay cosy and cool whilst the weather remains unpredictable this season. 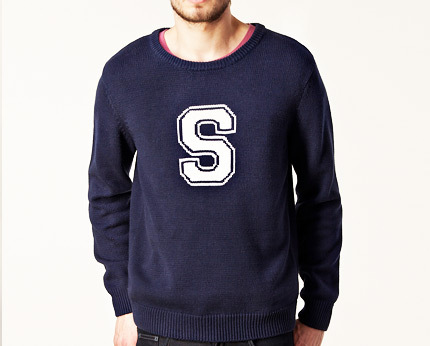 This navy blue knit featuring a contrasting white ‘S’ design to the front is simple yet very effective. The design is very on trend right now with a classic box style fit with ribbed cuffs and hem, and it will team nicely with anything. 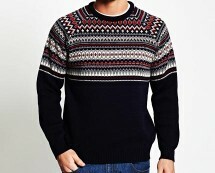 This jumper will easily see you through seasons! 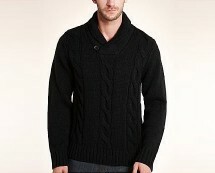 Smart enough for work or play, warm enough for all weathers!